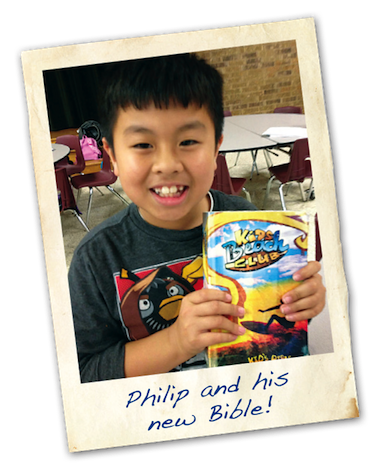 KiDs Beach Club® continues to make Jesus Cool at School!™ We celebrate incredible growth having 97 active clubs across seven states this school year. The vision “to provide every 3rd through 6th grade boy and girl a Jesus experience within the culture of their public school” is gaining momentum. This goal is achieved with the help of generous donations from many friends and ministry partners. These contributions make it possible for the 7,500+ children enrolled to experience Jesus in the safety of their elementary school. In the 2012 - 2013 school year, our church partners have witnessed 727 children make Jesus their “forever friend.” Taking all the years of Beach Club into account, that number grows to almost 4,400. That is a lot of children coming to Christ! That is what transforms the culture of our schools. Jack Terrell, Founder and President of KiDs Beach Club®, is often asked, “Jack, do you really give children in a school cafeteria or gym the opportunity to trust Christ? … How?” This note received from a Club Leader captures how it happens. A few weeks ago Ron, one of our Surf Team leaders, called me over and said that Philip had a question. Philip asked me, “How do you become a Christian?” Then Ron said, “Now, tell her the other part.” Philip continued, “We are Buddhist.” My heart was heavy for a moment. I shared briefly how to become a Christian and explained that Buddhists believe something very different about Jesus. I explained to him that we always have to honor and respect our parents, so he should talk to his mom about it too. I told him that his mom sends him to Beach Club knowing we teach from the Bible, so it’s likely that she is open to it. We all joined hands and prayed for Philip to have the courage and words to talk to his mom. Every week, amazing and committed volunteers share the love and hope found only in Jesus Christ with thousands of children. It is through the generosity of individuals and church partners that children, just like Philip, can experience the forgiveness of Jesus Christ. If you would like to support KiDs Beach Club® in reaching more children in more schools you can do it today. Click over to our giving page for online options or write to us at PO Box 635, Euless, Texas 76039.